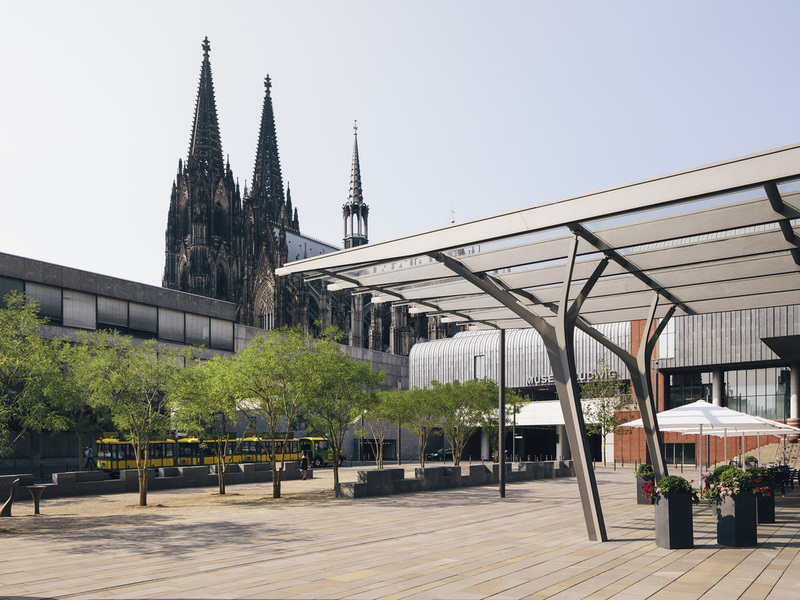 Hotel Mondial am Dom Cologne - MGallery Collection. Enjoy! Enjoyed parts of stay- reception staff very good, breakfast excellent and staff excellent. Was extremely unhappy with all the construction noise which I had no idea about until I arrived. Noise was so bad I was unable to phone people in my room and could not hear TV. I would have appreciated being told before I booked that my stay would be compromised by noise of construction I stayed a night at the Pullman and there was no comparison, the Pullman is streets ahead, only good thing is the location. Brand new room 361 was very bright and modern. Well positioned hotel & good overall service. Very friendly staff. Well presented hotels. Had one of the newly refurbished rooms and left feedback as requested. Love the location near the train station, cathedral and river. Enjoyed my room - very comfortable if a little small. Nice bathroom - recently renovated. For sure, I will stay in your hotel again next time. Awful. My room was not ready upon check in and I took a lower category room to have something at 2pm - which was tiny, had no view, and was only €14 cheaper than my Deluxe room. The hotel information book said the Sauna and Steambath are operated from 16-22:00 each day. I went down at 16:00 and it was all turned off and cold. I tried calling using the phone in the basement but it rang over 20 times and no one answered. No employees were there to help and I didn't want to go to the lobby in my robe to ask about it. Then at 8am on the day of check-out they started drilling in the floor above my room - super loud and unbearable. I called and the reception told me they are doing renovations - I asked why this was not on the hotel website or was not communicated to me when checking in and all she could say was sorry but did not (1) correct the problem or (2) offer anything to make up for the inconvenience. The shower was disgusting with mildew everywhere, the soap holder was broken and falling off the wall. The door to the TV had a very sharp metal point on the handle and the room is so small that I scratched myself badly simply trying to walk past it. Overall the worst hotel experience in the last 10 years. And I stay in hotels about 100 nights per year. AWFUL! Helpful friendly staff. Very good breakfast. Superb central location. The only negative is the speed of the lifts. Takes long time to come and slow in operation to the desired floor. Everything was good except wifi. Wifi usually free with good speed other hotels. It was free WiFi but connect wasn't good. Breakfast was good and location. I enjoyed the professional reception staff, the clean and tidy hotel, a good breakfast choice with quality food and good quality coffee. I would improve the hotel by having better control over the room temparature, USB adapters in the rooms and foreign power adapters available from reception. I was delighted to be given a small gift as it was my birthday. Very well located hotel in the centre of Cologne, is bang on in the centre just behind the DOM. Hotel is clean with pleasant reception area and good breakfast. The lifts felt very old, slow and did not feel very safe. The hallway carpets are also tired and in need of modernization, the rooms are functional although the are extremely small. The beds are comfortable and bathroom is also good. Best thing about this hotel is the location, Breakfast, and shower. Worst part is apart from the reception and breakfast restaurant the hotel is need of modernisation and has very small rooms. The whole experience was excellent from check-in to check-out. The staff were very helpful; the room was good value for a city centre hotel. The restaurant is also good value (if a slightly limited menu). We only stayed overnight but would definitely choose this for a short break in the city. Great place for exploring Cologne. Efficient, comfortable, great location - so near the cathedral and old town, and handy for the railway station. The hotel was spotlessly clean and the staff were very friendly and knowledgable. The hotel is located in a very convenient location barely even 5mins from the central station and the beautiful cathedral. You can really feel coming home in this hotel. Rooms are on the small size but perfect for a single business visitor. And always clean and tidy. The little chocolates are the finishing touch. Breakfast is above average. Staff is absolutely friendly and correct. The garage inside the building is another plus.